The simple Negroni earned its place among elite cocktails decades ago. What began as simply Campari, gin and vermouth has undergone years of poking, prodding and experimentation resulting in countless delicious variations—not all of them liquid. The Negroni bug has bitten chefs, bakers and confectioners who have found lots of new and interesting ways for us to eat our Negronis, as well as drink them. For this year’s Negroni Week, the annual celebration of the bitter cocktail that has raised over $120,000 for charity since its founding in 2013, we picked out some of our favorites. Brooklyn’s premiere dessert bar did this slightly bitter riff with a Negroni custard and orange zest whipped cream on top. A Campari caramel and gin-spiced salt (think juniper, coriander, cardamom and licorice root) cover this ultimate bar snack. Not to be outdone in the Negroni ice cream department, Manhattan’s Pearl & Ash sandwiches its Campari, vermouth and juniper ice cream between two thin pieces of orange-vanilla cake. The Washington bar is serving up cocktails with a Negroni roll-up mustache as a garnish. If you want to make them yourself, check out the recipe here. 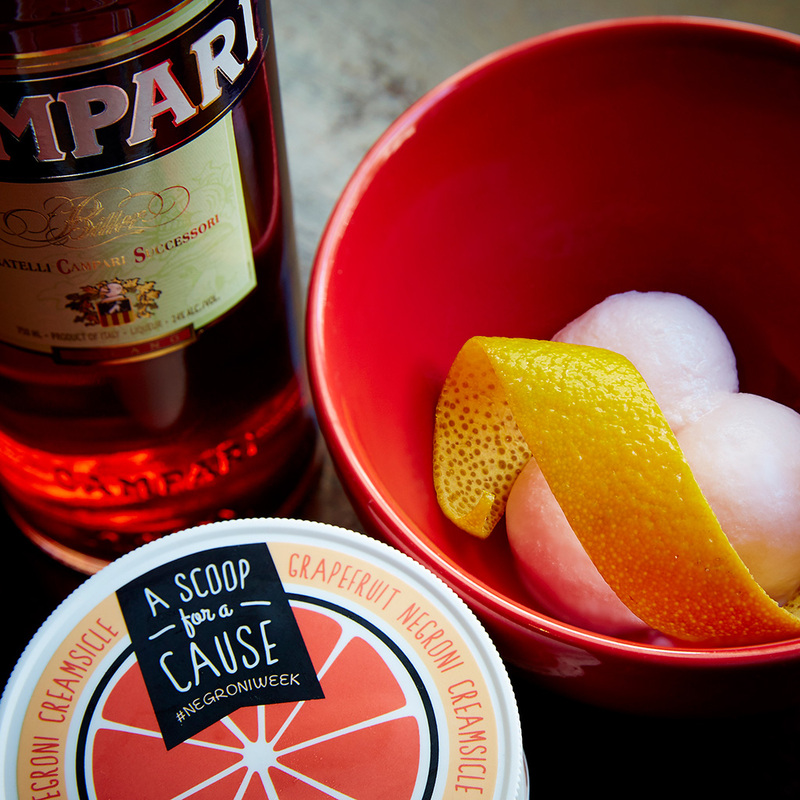 Tipsy Scoop has mastered working booze into their ice cream, and for Negroni Week they added Campari, vermouth and gin to their grapefruit ice cream for a sweet, tart treat. If all you make is cotton candy, it'd better not just be the boring pink stuff. The Bay Area confectioners have more than two dozen flavors, including a red Negroni Week special. No, you can't exactly eat it. But Negroni week is all about the complete Negroni experience, and that includes in the shower with this handmade soap with scents of sweet orange, neroli blossom, rose and fir.